Is your head spinning from all the rules? You should be optimizing your resume for employers, not ATS. All other the internet I have read hundreds of articles from so-called "specialists" that tell job seekers to focus on optimizing their resume for ATS (Applicant Tracking System). Most probably you have seen this too. These articles are implying that you are not getting an interview because of poor resume optimization. More often than not they offer services to help you in this matter. This sounds very similar to all the SEO (Search Engine Optimization) companies instructing to optimize your site for search engines otherwise you won't get traffic. While search engines like Google say it must be optimized for its users, not the other way around. It looks like you should be optimizing your resume for employers, not ATS. But who is arguing against ATS optimization? Nobody that I know of. It seems that most of the sites that promote ATS optimization have a lot to benefit from this. Does it really matter? For most job seekers I would argue that optimizing a resume for machines is a waste of time and they should invest that time in being more active. ATS or Applicant Tracking System is a computer program that handles most recruitment needs but it is mostly seen by applicants as a gatekeeper. It searches through all the applications and based on the employer's search criteria it will filter the resumes based on relevance. Similar to Google but way more rudimentary. Of course, they are not perfect and often enough valuable people are excluded from the manual screening process. And here starts the panic. Everybody want's to have a relevant resume so that an employer can evaluate it based on its merits. So job seekers are scrambling all other the internet to find the information that will help them "improve" their resume. What are the ATS optimization requirements? Use keywords that describe your strengths and skills seamlessly merged with your resume - What keywords should I use? No borders, no lines, no symbols - Huh? Don't use important information in headers and footers - really? Don't write to much or it will think you're trying to trick the system with too many keywords - How much is too much? Don't write to little or there won't be enough keywords - How many keywords should It have then? Include industry jargon and company’s corporate lingo - Corporate lingo? Is your head spinning from all these rules? Well... these are only a fraction of the total amount of specifications you will find online. A large part of popular articles are written by "specialists" that are actually working in recruiting and use ATS to scan your resume. Very convenient. Instead of working on improving their search algorithms they are asking the applicants to change their resumes with hundreds of ridiculous rules. Oh dear! Similar to how the internet looked before CSS. 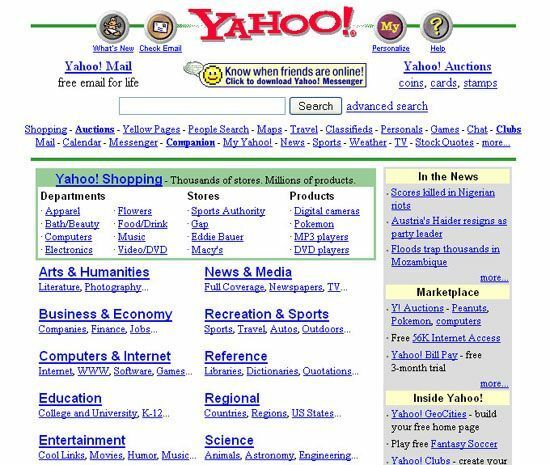 Remember Yahoo! in the good old days? This is how most resumes look today. No formatting, no spacing, no taste, no personality. Like Yahoo! was back in 1990's. You are more than that and it's important that the employers know it. Why shouldn't I worry about ATS? 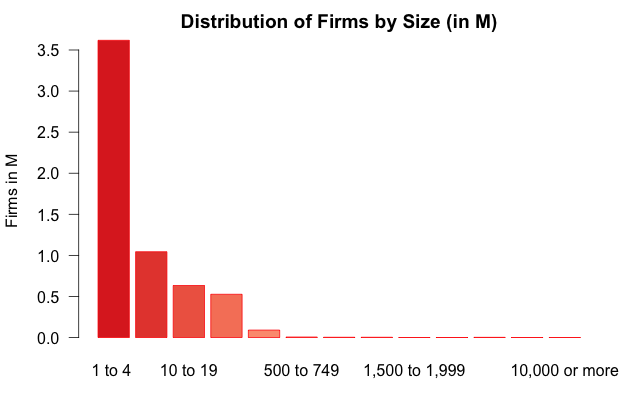 98% of businesses in the US employ fewer than 100 people. Do you think ATS is that important to them? For small and medium-sized companies you shouldn't worry about ATS. They will handle most applications manually because there aren't too many. In the end, your resume will be reviewed by a human. How will he/she feel about it when it was clearly written for a machine? ATS systems are getting better and better thanks to companies like Google that offer Artificial Intelligence ( AI ) services to interpret large amounts of data. AI improves each day. In a few years it may understand everything about an applicant just from looking at his resume. Subtle things like attitude, determination, vision, etc. While everybody knows that skill and experience are important, in my view personality and determination are close to equal and sometimes more important. We often hire young people that don't have any experience but REALLY want to learn and bring value to the company. You can learn anything and be good at it if you have enough determination. In the end, it all depends on your needs and what type of company you want to work for. If you are applying for an enterprise level company with 10.000+ employees and fierce competition then this article may not apply to you. The future will belong to resumes that are online 24/7. 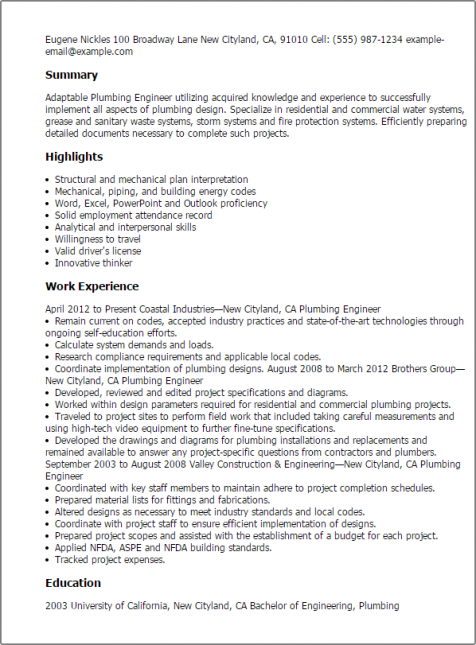 One place where you update one resume your entire life and share its link to possible employers. We are already seeing this trend with LinkedIn, where many have created a social profile as their resume. Others have their own websites. It's only a matter of time when everybody will have a permanent online presence for their career. No more uploading resumes or printing on old fashion paper. Leave your comment on our Facebook post and tell us your opinion. Do you think optimizing for ATS is worth the effort? Why should you make all the work? Upload or create your resume on JobKiwi so employers can find you.